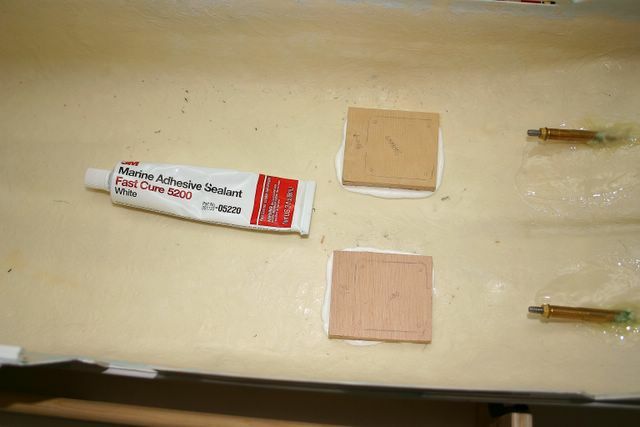 I used 3m Marine Adhesive Sealant to glue the wood motor mounts to the fiberglass hull. Here are the mounts set in place. 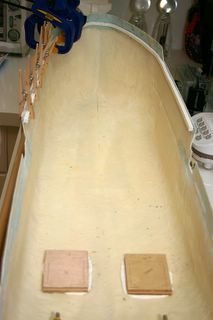 Here is the second set of deck support strips glued and clamped. The second set of 6mm by 3mm strips was glued over the first set.